WILDWOOD - Vietnam veterans in Cape May County are fed up with the lasting effects of Agent Orange! On November 18th at 10 AM, veterans will gather at the corner lot of Route 9 and Route 47 to gain attention to the issues. Agent Orange not only affects the men and women of the Vietnam war, it continues to spread to their families through birth. Over the years, the VA, the government, and health insurers have turned a blind eye to the issues, and have failed to recognize the detrimental side effects to the use of dioxin and Agent Orange. For decades, veterans have rallied for support of Agent Orange with no luck. With an unknown total of health issues Agent Orange and dioxin has caused, finding a cure is out of sight. American Legion Post 184 Commander Harry Weimar will lead the rally on the 18th like he has done in years prior. "This is about finding a cure, and admitting Agent Orange has affecting us, our children, grandchildren, and great grandchildren. 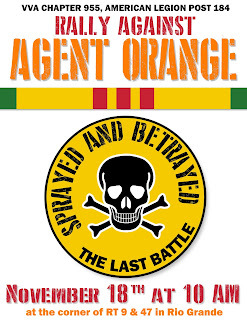 Many veterans have already died from Agent Orange, and there are even more that do not know they are even affected." 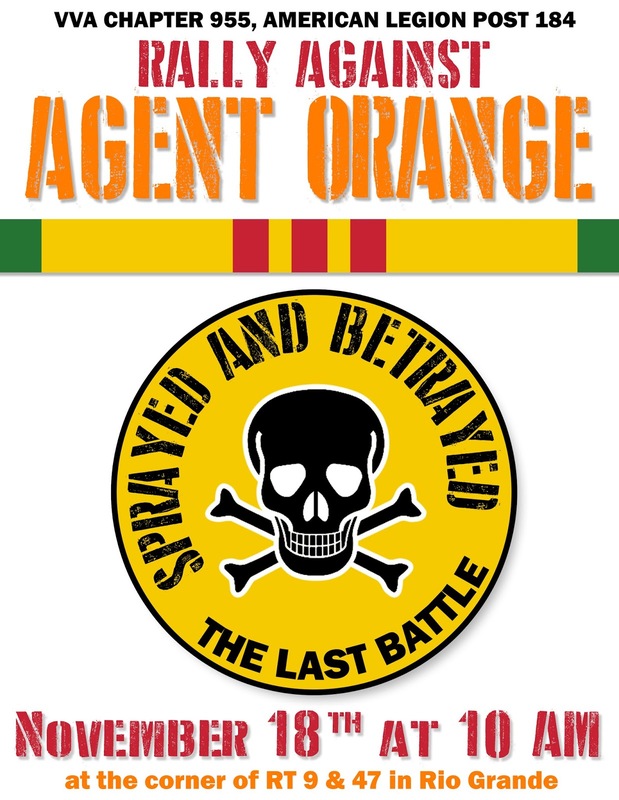 Veterans, community leaders, and local residents are welcome to participate on site to gather media attention, raise awareness to the public, and showcase "the last battle" against Agent Orange.